Looking for more energy, an immune system boost or help burning fat? Our vitamin shots are an effective and quicker way of delivering the nutrients that you need to feel better. 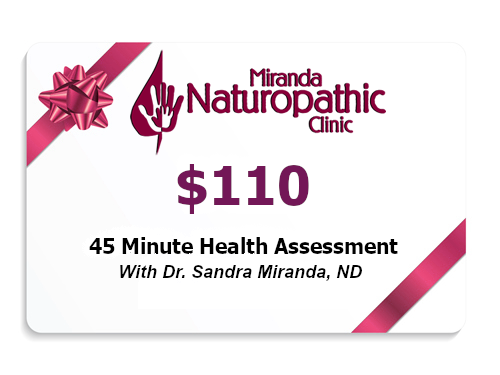 This gift card allows the recipient to have a 45 minutes session with Dr Sandra Miranda, ND to discuss your health and natural therapies to treat the root cause of your health problems. 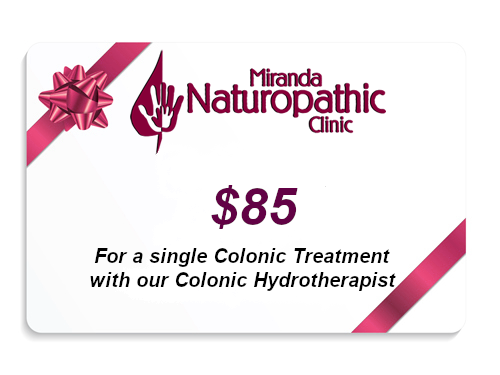 The recipient of this gift card will have a single Colonic Treatment with our Colonic Hydrotherapist in order to treat patients with digestive tract problems such as gas, bloating, constipation, cramping, indigestion and diarrhea. 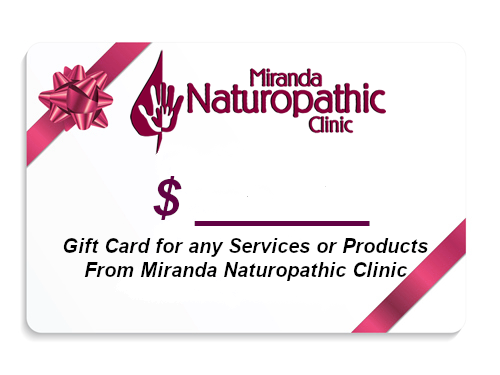 This gift card allows the recipient to use the amount available against any of the services or products that are offered at Miranda Naturopathic Clinic.